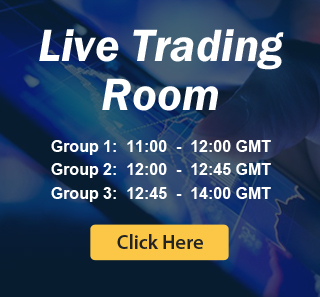 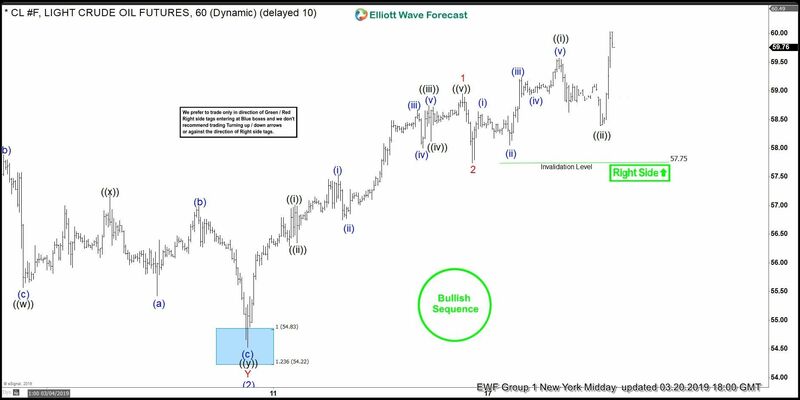 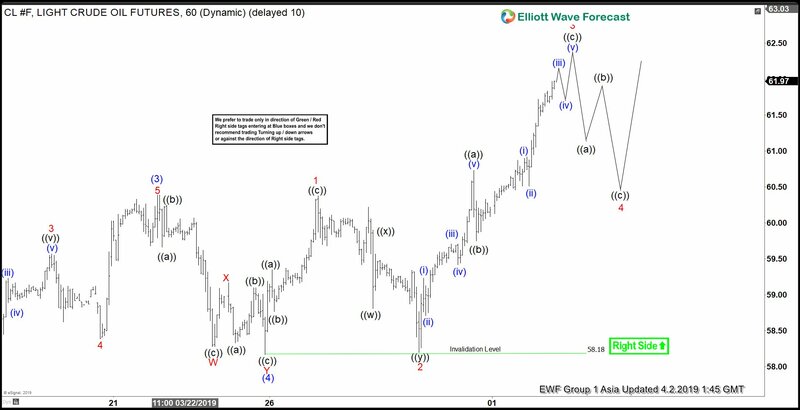 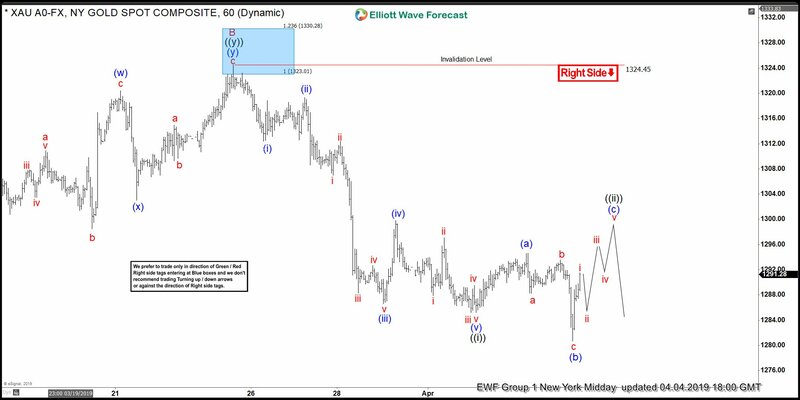 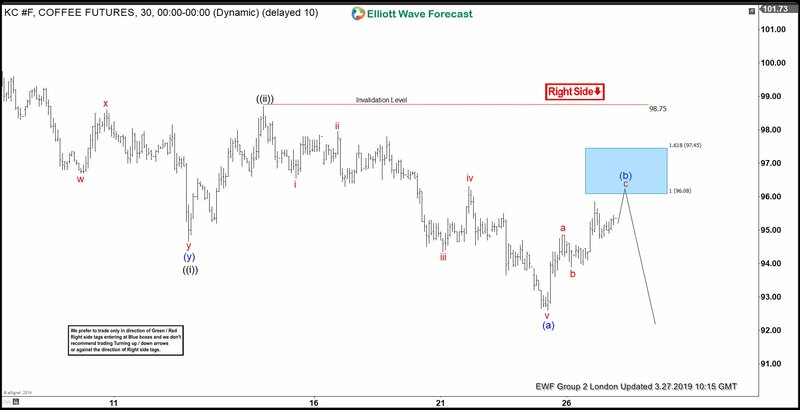 Silver ended an Elliott Wave impulse down from 15.63 peak and bounced and should now fail in 3, 7 or 11 swings in blue boxes as far as 15.63 holds. 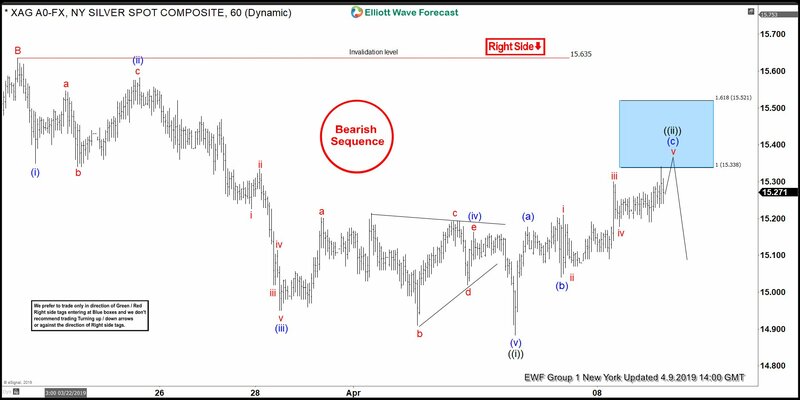 Silver shows a sequence of lower low from Feb 21 peak, suggesting further weakness likely. 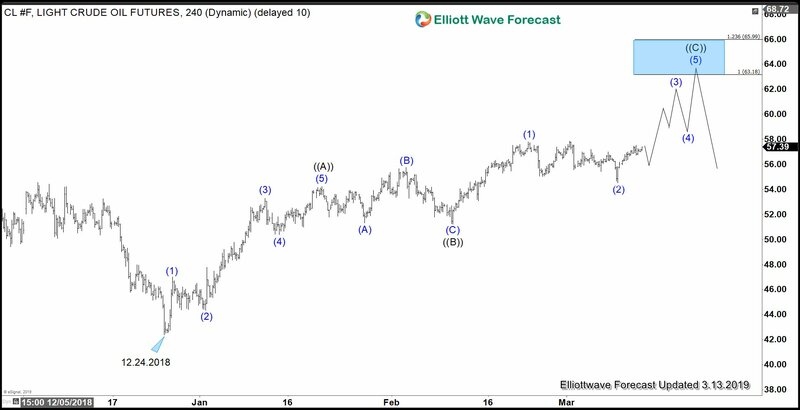 This article & video describes the Elliott Wave path.